Tomorrow afternoon (after we spend the third week of our Holipedia series talking about things like once you are saved are you always saved, what about other world religions, and the doctrine of the Trinity) I leave for Michiana Christian Service Camp to spend a week with Junior High kids. Living Stones Church is sending 20 kids. It is going to be a lot of fun. I’m looking forward to it. Based on my oldest son’s boredom (he turns 13 on Wednesday…I’m going to be a parent of a teenager!!!! :-O ) he REALLY needs camp. I’m not sure what it is, but when I get around a bunch of junior high kids…I soak up a ton of energy and am so hyper that even adderall can’t bring me down!!! Jennae Gee and I had lunch with the Jill VanDriessche, Principal of Monroe School and Sharon Gilbert, Administrative Assistant of Monroe School on Friday. We took them to The Emporium (seemed more professional than Burger King 🙂 ). We had a great conversation and even talked about some plans for September. I’m getting excited. I hope Jill AND Sharon are at Monroe for a VERY long time. Their passion and love for the kids is clear. I’m predicting a massive upswing in all things good…test scores, morale, parental involvement, etc. Jill mentioned that Monroe does not have the greatest minority percentage, but it has the greatest “poverty” percentage. Well…it will take some time, it will take some effort, and it will take focus…but Living Stones Church is going to remedy this. If I could go back and do it again…I would do it like this! 🙂 Definitely unique. I know many of you are looking for a job. Here is a creative way to get noticed. I would hire this guy just because of the creativity (albeit, not to sing for my organization). 🙂 Stand out. Don’t be like everyone else. Be confident. Showcase your skills. 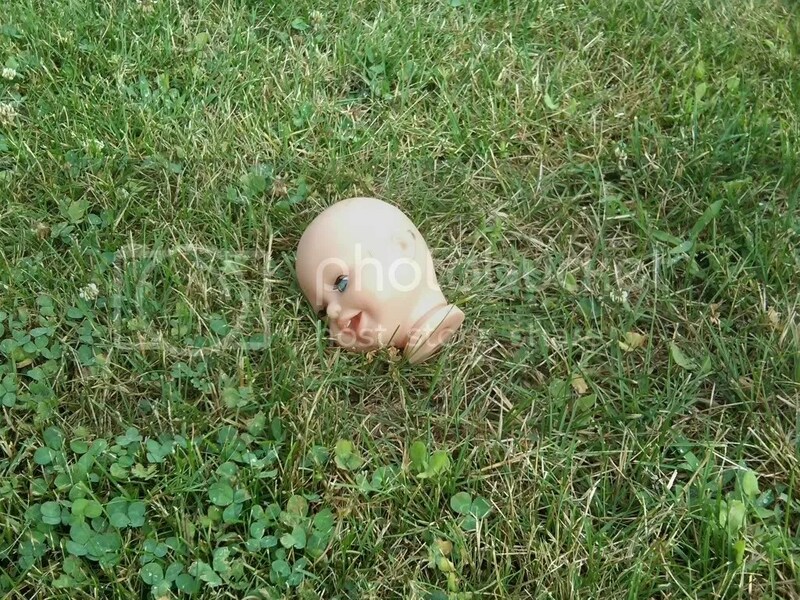 THE SEVERED HEAD OF A BABY!!!! Troubling I know!!! Who would do such a thing? A lone crazed Living Stones hater? Is this a group, a federation, a mob, a collection of people? Is this another church doing this (I have my suspicions about that Southgate Church)? Is this the work of a disgruntled child from our Kid’s Kanyon (has anyone seen the Pastor’s kids)? Maybe a desperate cry from a Kid’s Kanyon volunteer? Is this the communities’ way of protesting the lack of VBS this week? Conspiracies abound. We are calling in the authorities. We will not tolerate the decapitation of innocent plastic babies. Big fire on the corner of Main and Donmoyer. Vacant building caught fire. Main Street was still closed and fire crews were still on the scene 8:20 this morning! You can see the story here. Armed home invasion/burglary in the 700 block of East Victoria. Seems suspicious. I would not guess “random.” You can see the story here.